Morava village received a Golden Stamp reward for being a unique European settlement. The prize was handed on an official ceremony in Sofia (the capital of Bulgaria). Golden Stamp is a prize that is awarded by a non political organization. The nominations were made by a famous Bulgarian scientists and creators with an international acknowledgment. Morava is one of several villages that have received the prestige and it will be presented to centers’ international institutions cultural in the European capitals. 165 European towns and villages have received the prize so far. Morava village was nominated for its unique historical heritage and adequate cultural activities. Golden stamp reward was given to the mayor of the village George Georgiev. The seal may be put to all kind of correspondence with the institutions within and out of the country. 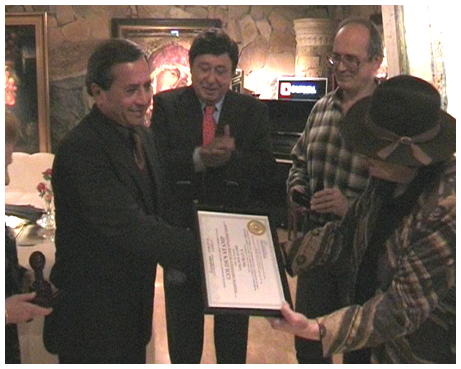 The mayor also received a diploma and a golden badge.